PO16BVK was seen in Blacko, 26 February 2019. 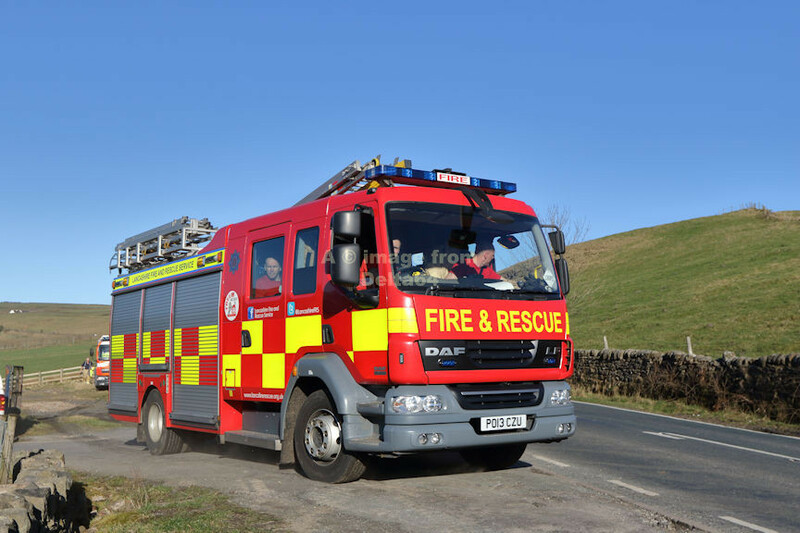 Daf LF PO13CZU was seen leaving a moorland fire in Blacko, 26 February 2019. IRU011 DG53FWT was seen on Winter Hill, 21 July 2018. 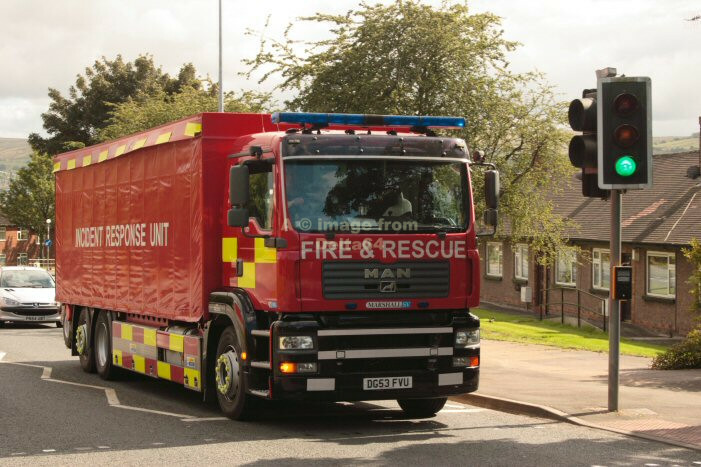 Reserve IRU001 DG53FVU was heading to Burnley Fire Station when seen 7 August 2007. All the New Dimension Prime Movers previously illustrated on this page [025, 038, 041 & 174] have moved on. PM035 WX54VKD was seen near Toll Bar during the South Yorkshire flooding incidents, 1 July 2007. 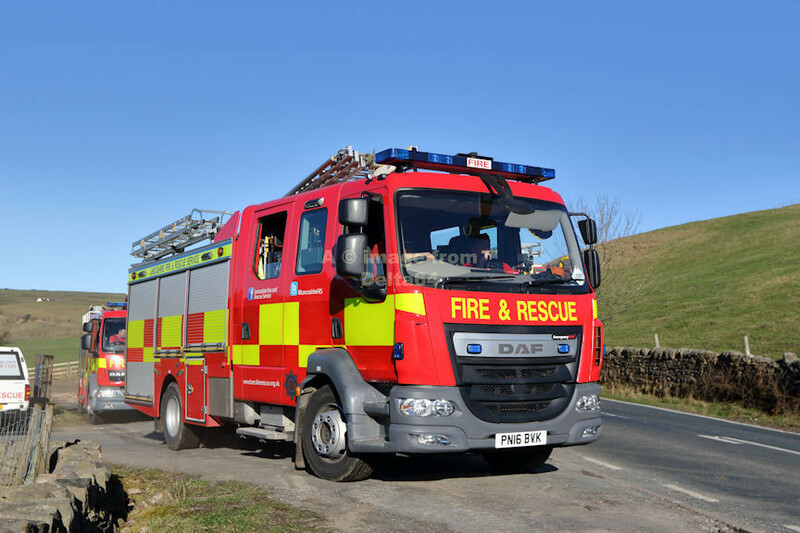 This shot of PM 035 WX54VKD was taken at an 8 pump incident in Hapton near Burnley, 4 July 2015. 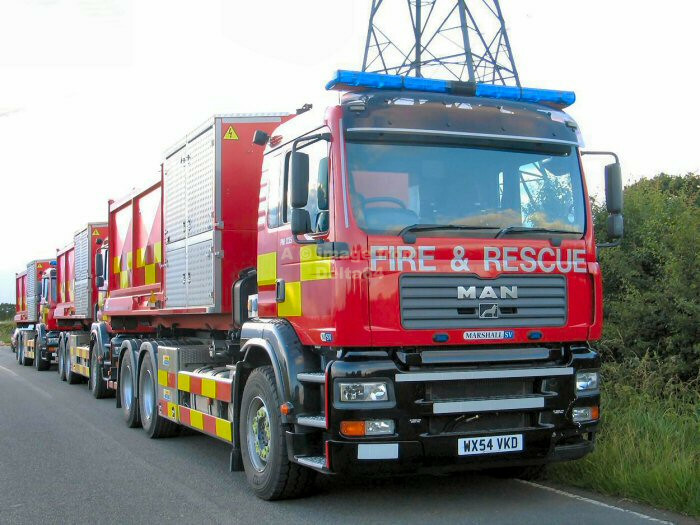 PM164 WX54VSV with the Hazmat and EPU Pod at a major fire in Burscough, 11 March 2014. PM164 WX54VSV was carrying the Hazmat and EPU Pod when seen at Ackhurst Industrial Estate, Chorley, 17 April 2013. Note that at that time it carried the county name on the front. 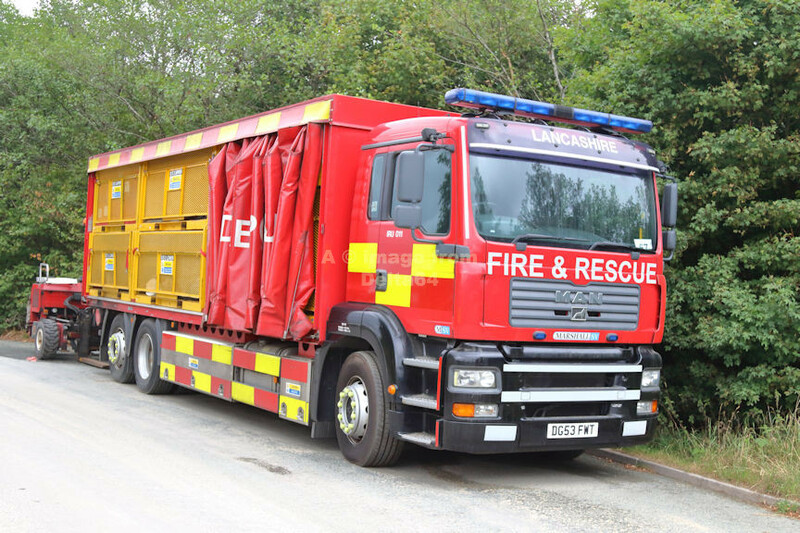 Hilux PO11KKC was seen at SHQ, 10 april 2015.